BlazeRush, the 3rd person VR vehicle combat racer, has been a big hit with VR gamers for some time and now developers Targem Games want to take add a new, distinctly Rocket League dimension to the title with their latest add-on BlazeBowl. There were lots of preconceptions about virtual reality gaming around the dawn of the Oculus Rift DK1. One of the most pervasive was that all VR games must be developed and played in a first person viewpoint. But, as developers and VR gamers discovered, some of the strongest inducers of presence in VR were those opting for a 3rd person viewpoint. One of the earliest and most successful titles to do just that was BlazeRush – a re-imagining of the top-down Micro Machines style multiplayer racer which had you holding dominion over the action from your celestial, immersive viewpoint above the track. The game was simple yes, but thanks to excellent VR tuning and solid gameplay, it was one of the better launch titles for the Oculus Rift VR headset back in March. 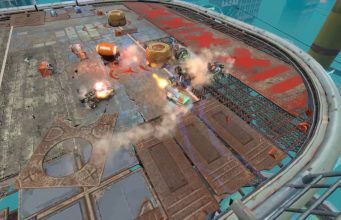 Now, Russian developer Targem Games have released a new add-on for the game which will likely draw comparisons against the wildly successful vehicle-based future sports title Rocket League. 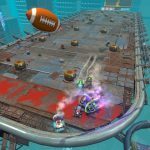 ‘BlazeBowl’ (see the trailer at the top of this page) is the natty title for a new set of features which enhance multiplayer aspects of the game while adding a whole new mode, all provided via a free add-on available to everyone with the game right now. 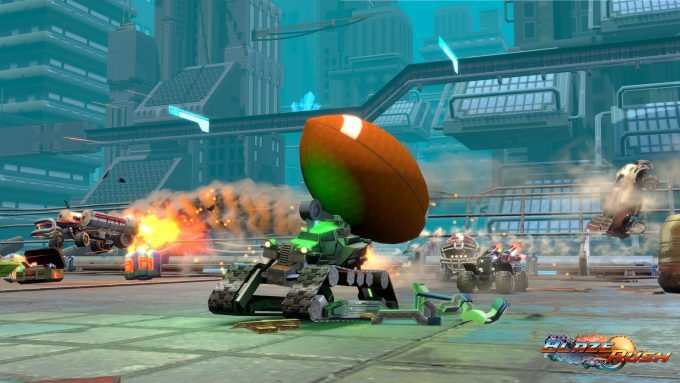 First up is the addition of a the BlazeBowl football arena, an American Football themed mode in which online teams fight to get the ball across the line to score ‘goals’, all whilst leveraging whatever firepower is at their disposal to prevent their opponents from doing the same. To accompany this new dimension to Blazerush multiplayer, the team have also added in voice chat, so you can also now bark orders at your teammates and hurl expletives down the mic as you see fit. BlazeRush and the new add-on BlazeBowl is available now via the Oculus Store. For HTC Vive owners there is unofficial support via ReVive, but it’s unclear as to whether all new features work correctly with this in play. 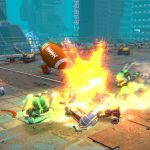 The post Watch: BlazeRush Takes on Rocket League in VR With Free ‘BlazeBowl’ Add-On appeared first on Road to VR.